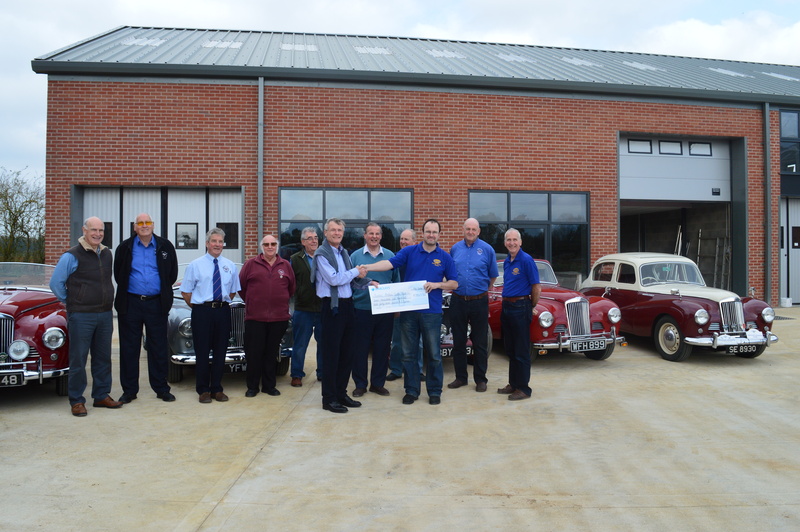 The Sunbeam Talbot Alpine Register (STAR) are pleased to announce that the club has donated £7500 towards the Rootes Archive Centre Trust (RACT) Building Appeal. Donations to the building appeal now exceed £100,000. Fund raising is continuing with a further £80,000 being required to purchase the building. The new building will be the permanent home for the Rootes Group archive. The new building is in Banbury, Oxfordshire and will be open in 2018. 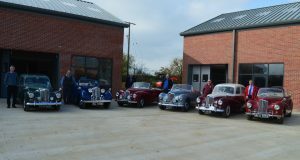 A registered charity established in November 2004 by the Association of Rootes Car Clubs. The trust is the custodian and home of the Rootes Engineering Department drawings and microfiche together with Rootes manuals, handbooks, books, photographs and other Rootes related memorabilia. You can support the trust by becoming a ‘friend’, for further information mail Matt Ollman at matthewollman@rootesarchivecentre.org.uk. Founded in 1969 for Rootes Sunbeam Talbots from the pre-war 10hp, 2, 3 and 4 litre cars to the 1950’s Sunbeam-Talbot 90 sports saloons, sports coupes and Alpine sports. The club has 8 UK regions plus 5 overseas regions. Membership enquiries to Bill Hall at creeler@gmail.com. Established in 1897 by William Rootes (Snr) in Hawkhurst, Kent. Rootes Snr was soon joined by his sons William ‘Billy’ and Reginald ‘Reggie’. The business prospered and was the largest car retailer by the mid 1920’s. In 1928 the brothers became manufacturers with the acquisition of Hillman, Humber and Commer. The brothers launched the new Hillman Minx in 1931 and this model remained a market leader and mainstay of the group for 30 years. In 1935 Talbot and Sunbeam were acquired and the group produced the sporting Sunbeam-Talbot marque from 1938. Singer was the final acquisition made in 1955. The Rootes Group made a significant contribution to the war effort for which both Billy and Reggie were both knighted. Later, Billy was further ennobled, becoming Lord Rootes, for his significant post war contribution to the Dollar Export Council. The Rootes Group was the third largest car manufacturer by the 1960’s, making more than 350,000 vehicles a year. The untimely death of Lord Rootes, crippling industrial disputes and the failure of the Scottish Linwood factory producing the innovative Hillman Imp resulted in the company being taken over by Chrysler in 1967. Chrysler sold the business to Peugeot in 1978.